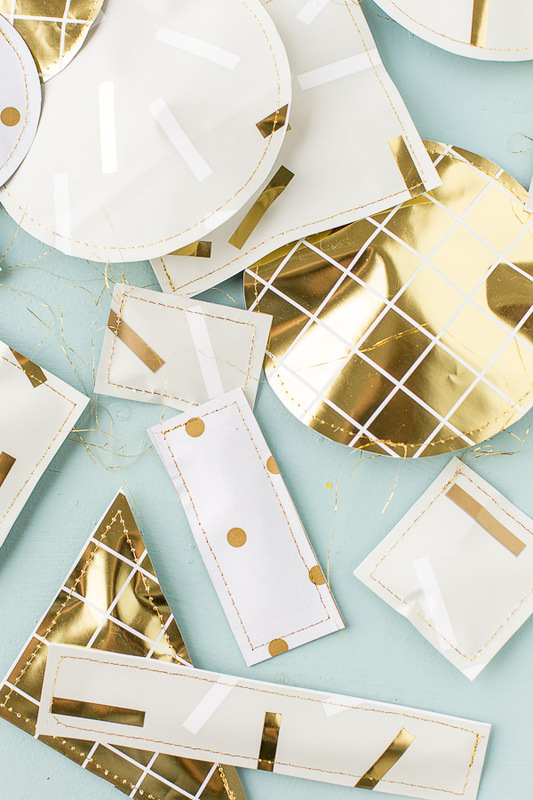 A Unique Holiday Gift Wrap Idea: DIY Paper Present Pouches Made from What?! 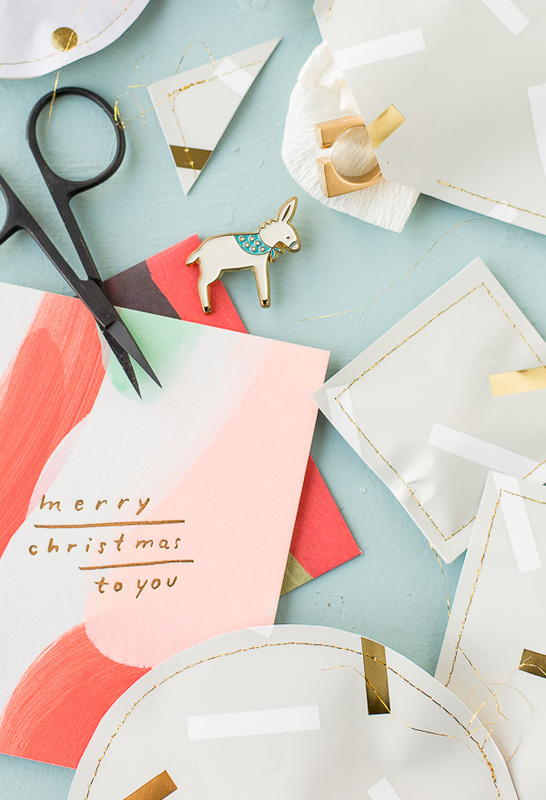 This year, I’m getting ahead on sharing holiday DIYs because I have lots of things I want to make and there’s only so many days before Christmas. You in? I hope so! 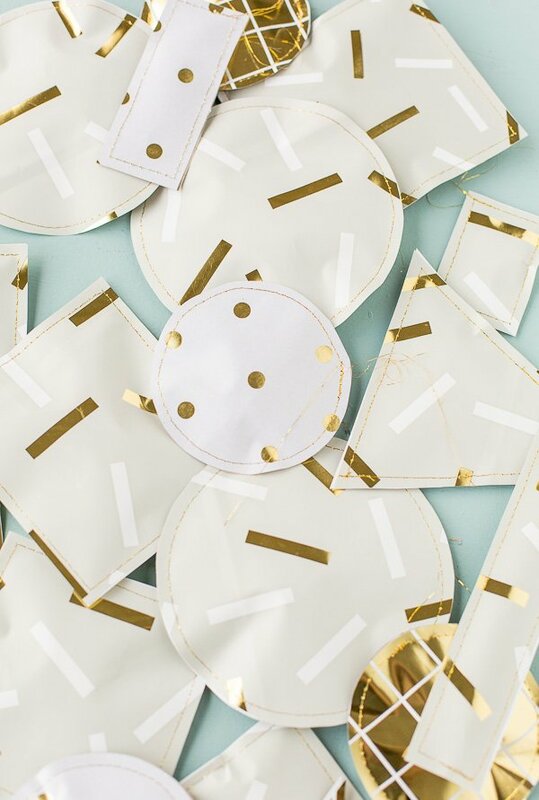 I made these paper present pouches as a holiday gift wrap idea that is perfect for packaging small presents (and stocking stuffers) in a unique way. 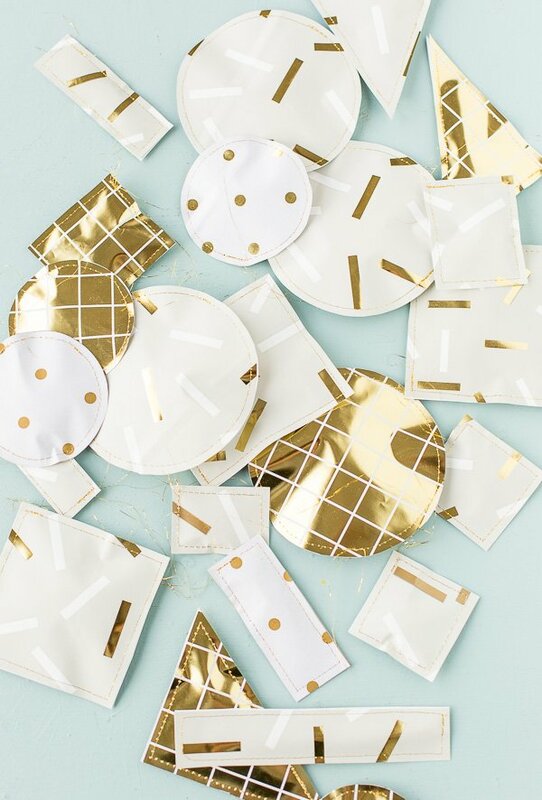 All while reusing something you probably already have stuffed in the back of your closet – old gift bags! 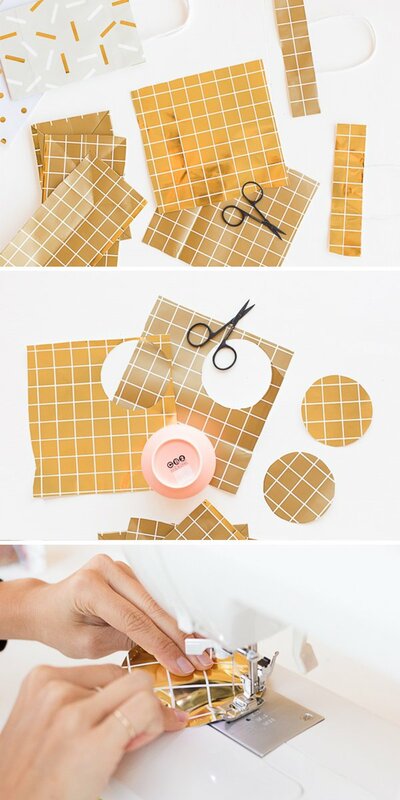 You can also use wrapping paper or even scrap wallpaper, newspaper pages, etc. 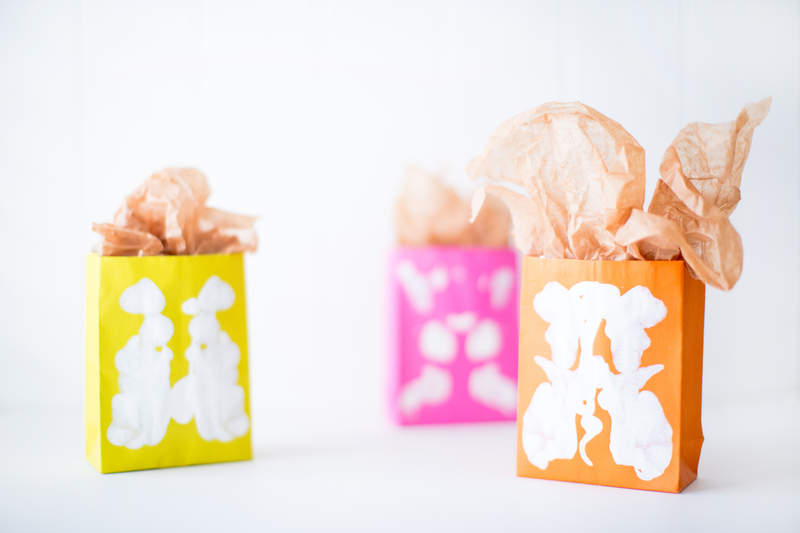 They’d also be a fun gift wrapping idea for hostess gifts for Thanksgiving, or birthdays, anniversaries, etc – so you don’t have to wait until December to use them. Click through to make your own. Start by cutting the large flat pieces from the gift bags and remove the handles. Then, trace bowls for circular shapes and use a ruler for other geometric shapes, like rectangles, squares, etc. Sew around the the paper shapes about a 1/4 inch from the edge, (almost) all the way around. Leave an opening large enough to fit your present inside. You can stuff your present into the pouch without removing the pouch from the sewing machine. Just get to a good pausing point, make sure your needle is in the lowered position to prevent it from moving around, and gently stuff your present inside the pouch. And then continue sewing to close the pouch entirely. Make sure to secure the stitch at the end of the sewing process with a reverse stitch. 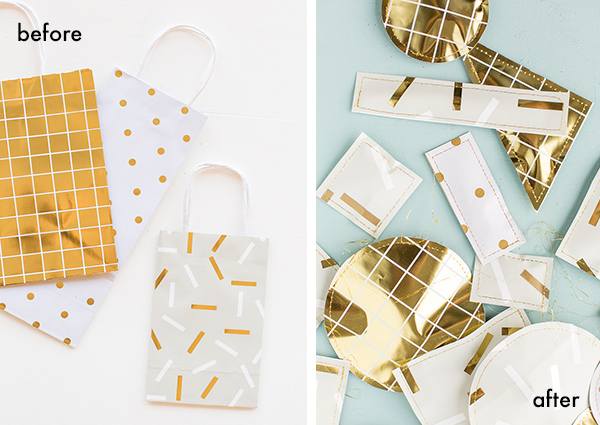 If you don’t have any gift bags lying around to use for this, you can always use recycled wrapping paper OR use brand new wrapping (or even wallpaper). So many options! I was thinking these pouches would be perfect for advent calendar gifts too! I’ve been meaning to do one of those for years, maybe I’ll do it this time using these little guys as the goodies for each day. What do you think? And lastly, if you like this idea but would rather use a different material, I made something similar with felt last year: sewn felt DIY pouches or presents. 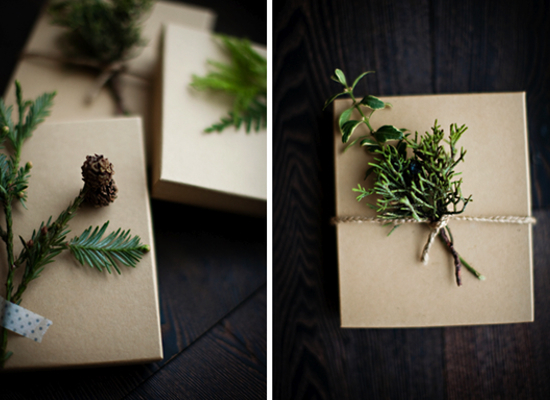 Have you ever tried unusual packaging for gifts like this before? Would you ever try it? I’d love to know what you think! These looks gorgeous! I’m keen to try. Are they hard to open for the receiver? 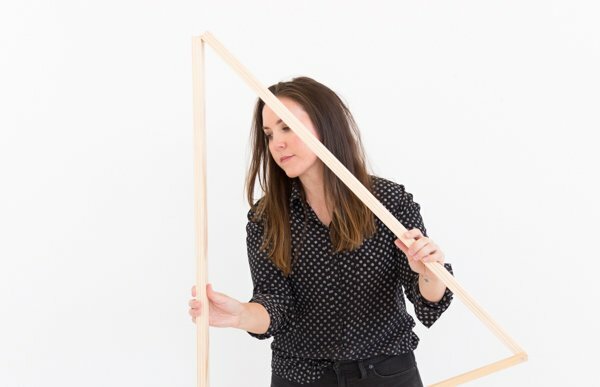 Hi Eliza. Good question! I usually use a pair of scissors to open these types of pouches (just snip off a corner and you can rip the two pieces apart). But you could also probably just unravel it from the sewing string if you tug on it a little bit. So, basically, it’s super easy to open for the receiver. What a cool idea, they look so extraordinary! Love the colours and patterns as well! Thanks Michelle and Pink Pineapple. I love this idea. I have used a silk scarf, wrapped and tied the Japanese way, when I had a collection of small gifts for my sister last year, but this is a super idea. Will definitely give it a go. I do cover or paint small cardboard boxes for gifts, and stamp with stars using glitter paint. Prefer to make/design my own paper and packing, makes it more special somehow. Love your ideas, Jayne. I almost always go the DIY route when wrapping presents too. It’s so fun. 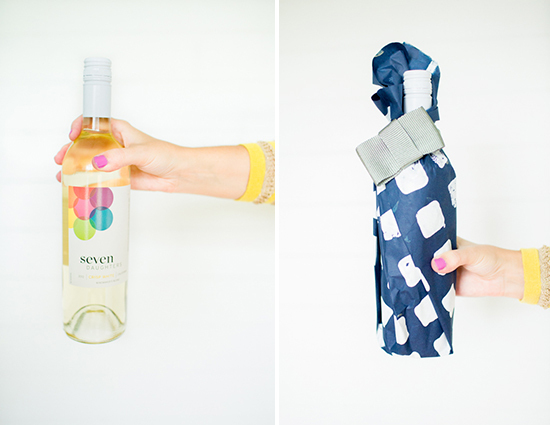 so fun to personalize your gifts like this…love it! I love how different and interesting looks the gift with such a wrap. I will try to make similar wrapping.